Everybody dreams. But some people do not remember their dreams. How can I improve my dream memory, my dream recall? It is important to realise that we often even have between 4-7 dreams in one night. Five minutes after the end of the dream, 50% of the content is forgotten, after ten minutes 90% is forgotten so it is imperative to recall the dream memory as quickly as possible. 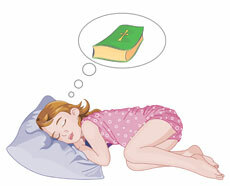 This section details how to improve your dream recall and dream memory. Dream Recall - How can I improve my dream memory? To improve your ability to remember your dreams, your Dream Recall is the first step to learning how to actually control your dreams. This process is explained in our section entitled Lucid Dreams.